SALE....Was £68....now £28 - whilst stocks last! 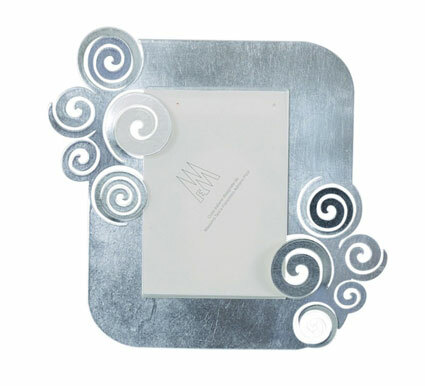 A funky style designer vertical photo frame set with a Deco swirls design on two sides that is raised away from the frame. Made from powder coated metal in a contemporary gilded silver leaf finish. The frame is 27x29cm and takes a 12x17cm photo.